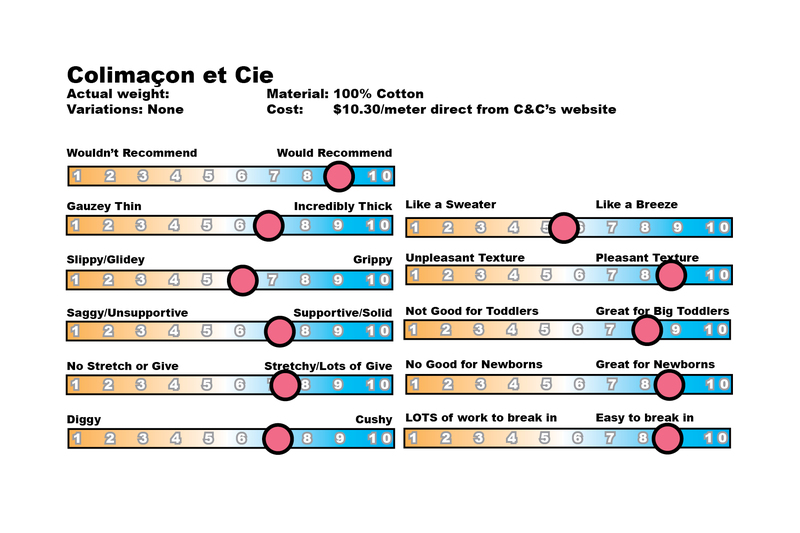 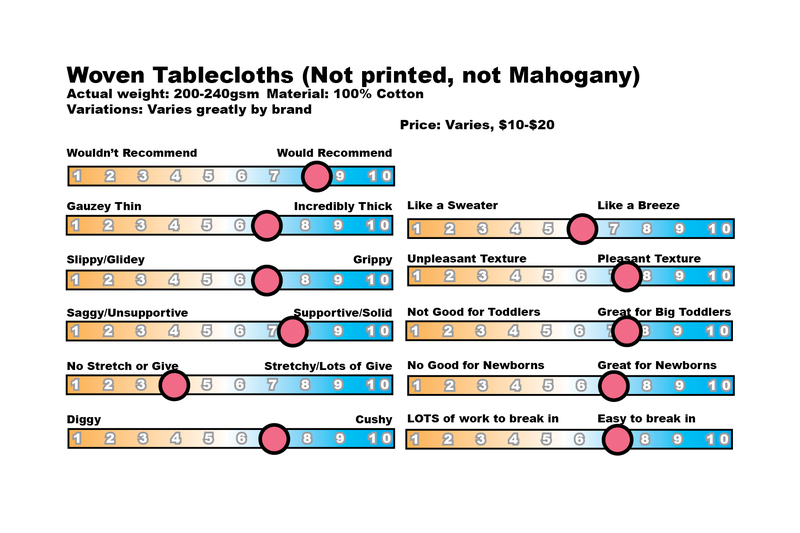 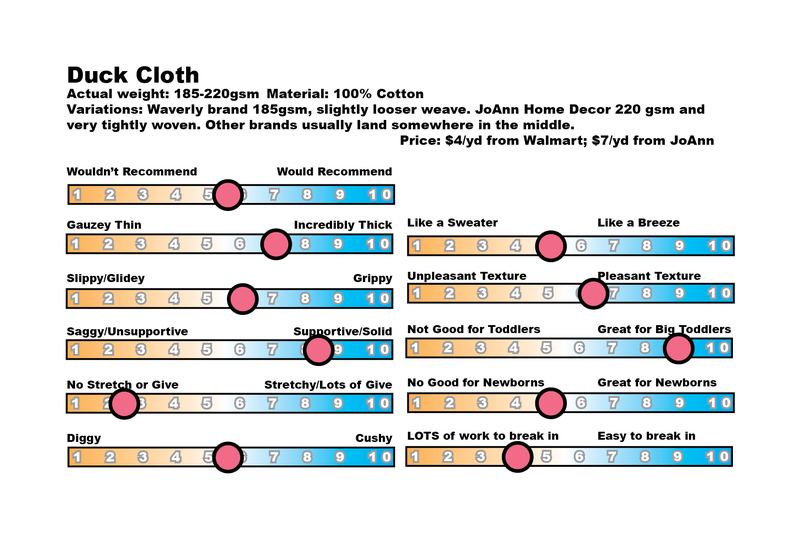 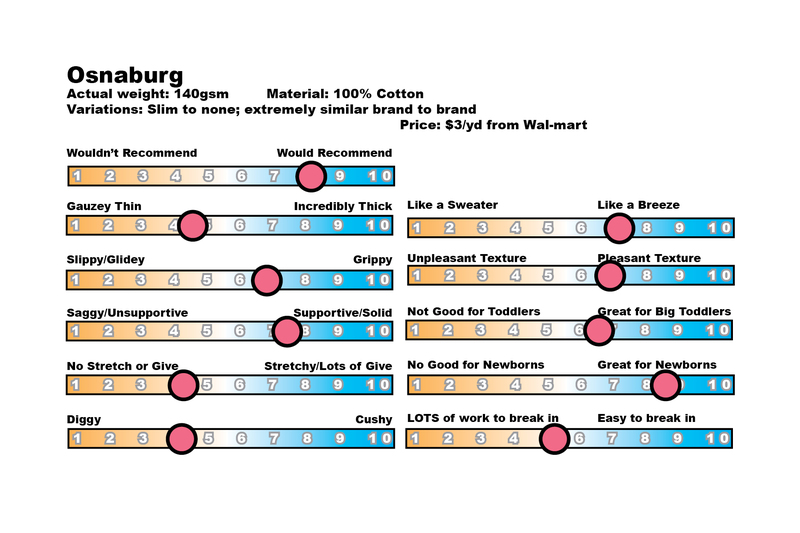 The following charts, based on a survey taken, will give you an idea of the wrap qualities of the most popular fabrics for a DIY woven wrap. 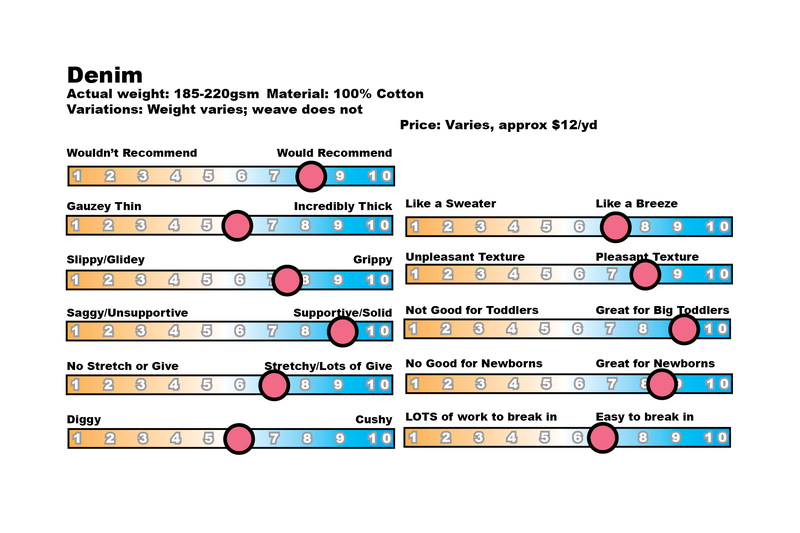 A lot of these qualities also apply to ring slings and may be useful to know for other types of carriers. 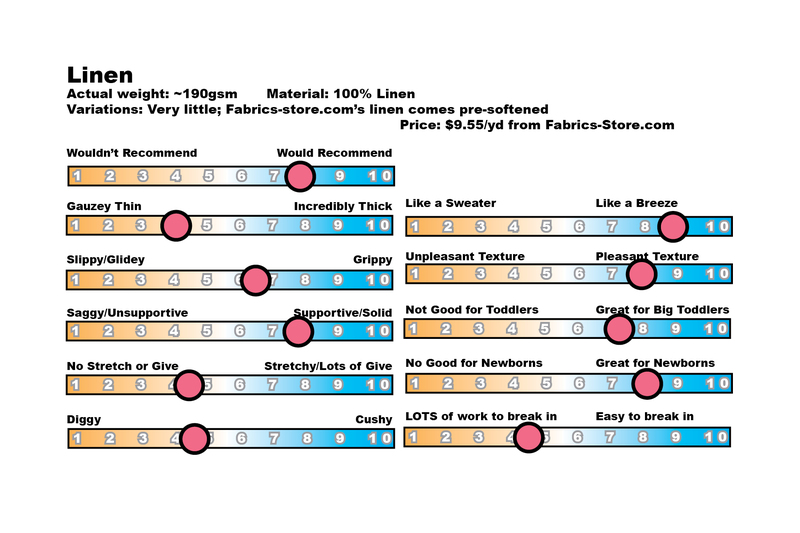 If any of these terms seem unfamiliar, check out this blog post by Amy Wraps Babies.